ramblings of an electronic engineer. 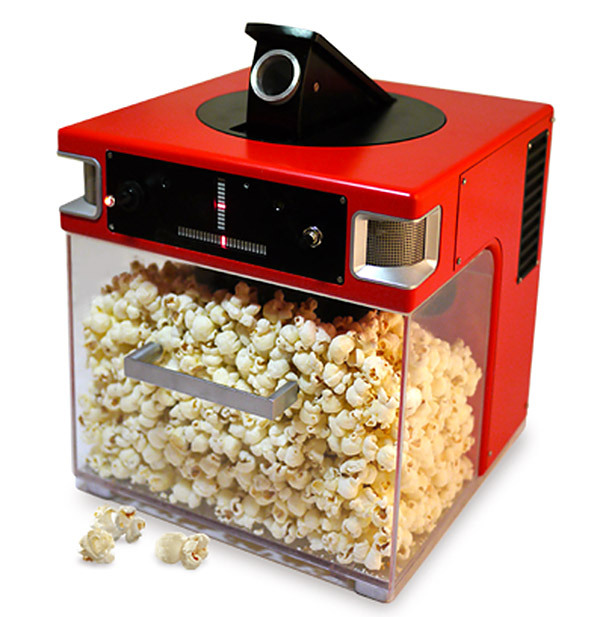 ‘Popinator’ – the world’s first fully automated, voice activated popcorn launcher. Some things are completely lazy, yet incredibly awesome. This is one of those things, a popcorn launcher that fires a piece of popcorn at your mouth whenever you say ‘pop’. The launcher detects your voice from two microphones, from the small time delay between the sound of your voice been detected by each microphone it can adjust the pan and tilt of the launcher to shoot the popcorn in the direction of your mouth for consumption. Check out the video for a demo of how it operates. Categories: Electronics, Technology | Tags: launcher, pop, popcorn, sound, voice | Permalink.